BlackBerry theme roundup - Valentine's Day edition! 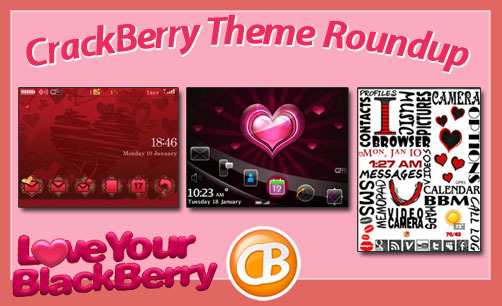 Valentine's Day is this coming Monday, and what better way to celebrate than with a new theme for your BlackBerry? We rounded up a few Valentine themes for you to get you in the mood! If you don't see something you like after the break head on over to the theme forums or the CrackBerry store and check out the others that are available. And if a theme doesn't suite your fancy, you can always get a pretty new wallpaper for your BlackBerry. Don't forget, themes make great gifts too! FREE and available for all BlackBerry smartphones running OS 4.5 and greater! On sale for $1.99 until February 18th! 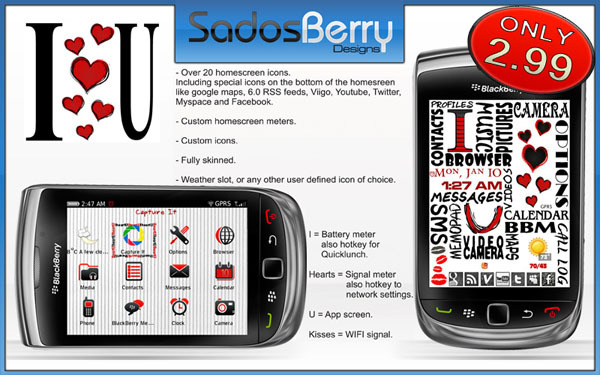 Compatible with BlackBerry 89xx/9630/9700, 9000, and 95xx on OS 4.6 - 5.0 and the Torch on BB6. $2.99 in the CrackBerry store, exclusively for the BlackBerry Torch. FREE in BlackBerry App World! Compatible with all devices on OS 5.0 - 6.0. 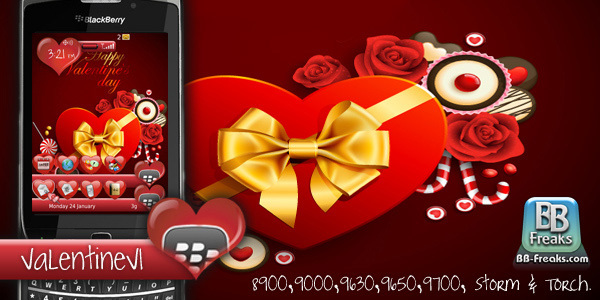 From all of us at CrackBerry.com, have a Happy Valentine's Day!